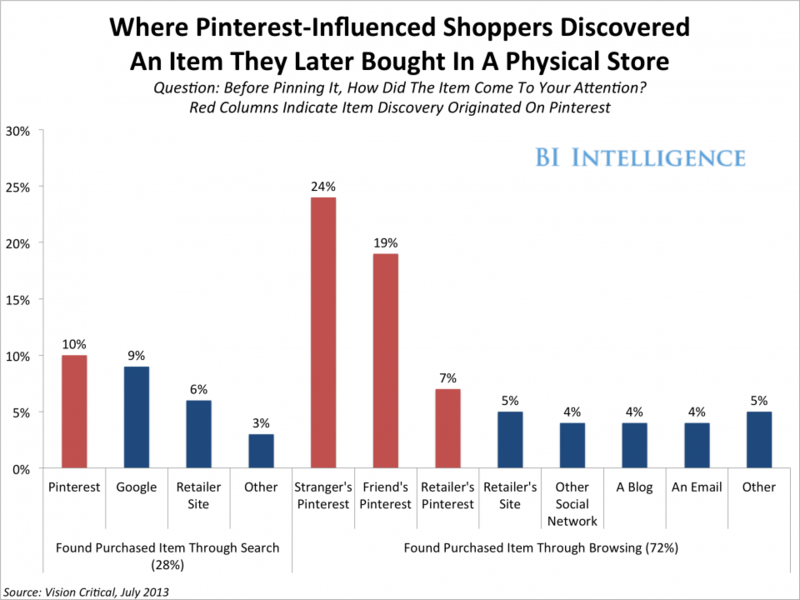 Pinterest, and specifically the act of "pinning," is driving people into stores and influencing purchase decisions. Recent data distributed by Vision Critical and highlighted in the Harvard Business Review found that 21% of Pinterest users had bought an item in a store after pinning, repinning, or liking the item on the site. Vision Critical describes this as part of a wider phenomenon it calls "reverse showrooming," in which consumers search or browse products online and then enter the physical shop to make a final purchase. Vision Critical's study adds credence to the notion that social media has finally emerged as a commerce-driver. 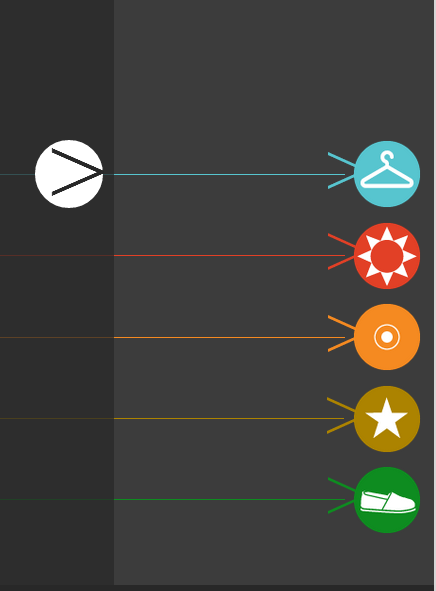 But how did pinned items originally come to the attention of consumers? Google, email, blogs? Pinterest itself? Vision Critical found that 50% of the items caught users' attention while they were casually browsing Pinterest itself (24% on a stranger's boards, 19% on a friend's, and 7% on a retailer's). Another 10% came from Pinterest searches. These numbers are a testament to Pinterest's power as a kind of user-generated digital retail catalog that shoppers flip through for ideas. Unlike traditional showrooming, which is spurred by e-commerce giants like Amazon and eBay,reverse showrooming seems to have its roots in social media and social commerce: friends' and strangers' recommendations can inspire shoppers' purchase decisions, offline and online. ”Showrooming”—a phenomenon whereby shoppers visit stores to examine merchandise in person before buying the items online—is viewed as a huge threat to brick-and-mortar retailing. The problem is thought to be so bad that at least one merchant has started charging people to browse in its stores. Our research suggests that the threat is overrated. We asked nearly 3,000 social media users in North America and the UK about their shopping habits, and only 26% reported regularly engaging in showrooming. 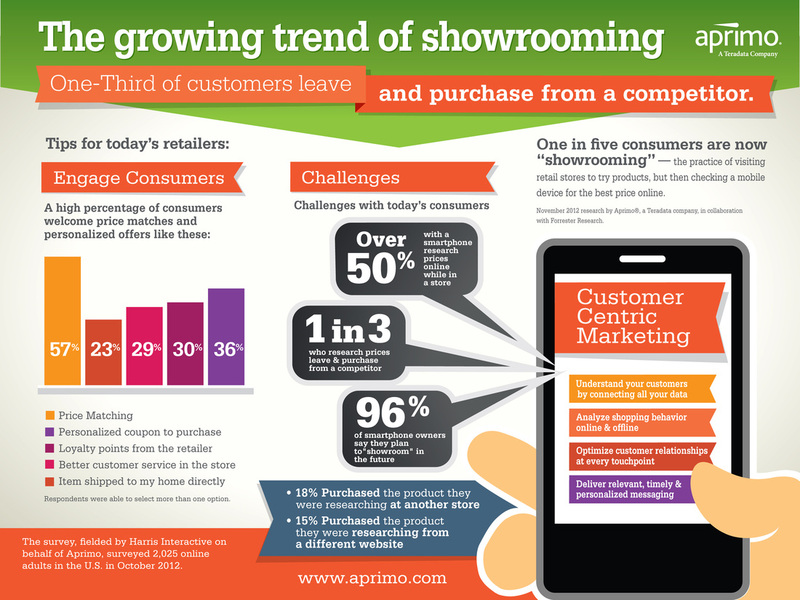 But 41% said they practice what we call “reverse showrooming”—browsing online and then purchasing in stores. Pinterest is an especially popular driver of in-store sales: 21% of the Pinterest users we surveyed said that they bought an item in-store after pinning, repinning, or liking it, and 36% of users under 35 said they had done so. Instead of feeling threatened by showrooming, retailers should study their customers’ paths to purchase and use the insights gained to hone their online marketing efforts. We asked the Pinterest users described above how the web had figured into their purchases. We found a handful of typical paths, which are illustrated here.